The Exmoor is a unique breed of pony and the closest descendant of the wild horse of Europe which reached Britain about 130 thousand years ago before rising sea levels isolated our island from the continent. 100 thousand years after their arrival man came to Britain and hunted the wild ponies. About 10,000 years ago climate change restricted open habitats to mountain and moorland areas supporting far fewer ponies. 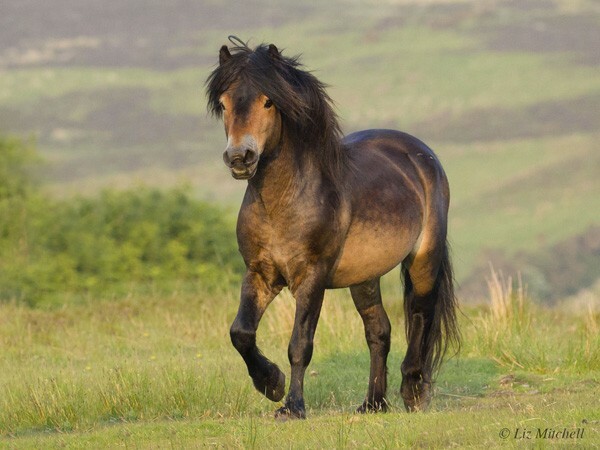 The Exmoor pony evolved in response to its environment, becoming hardy and resilient to the cold and wet. When the Celts settled in Britain, ponies from the wild herds were tamed and trained to pull their chariots. The relationship with man developed over the centuries. Prior to mechanisation the local pony was used for a wide variety of tasks such as shepherding, ploughing, harrowing, hunting and carrying the farmer about his everyday business. Many animals were sold off the moor annually to be used in the pits, or as pack ponies or to pull delivery carts. The present day system of ownership of the wild breeding herds was developed in the early nineteenth century. Local landowners and farmers founded herds in their neighbourhoods and grazed them on the Commons. The pony is only wild in the sense the herds roam freely on the moor but all the ponies belong to someone. The Exmoor Pony Society monitors the welfare and breeding of the herds to safeguard the future of the breed. The herds are rounded up annually in the Autumn and driven down to the farms. 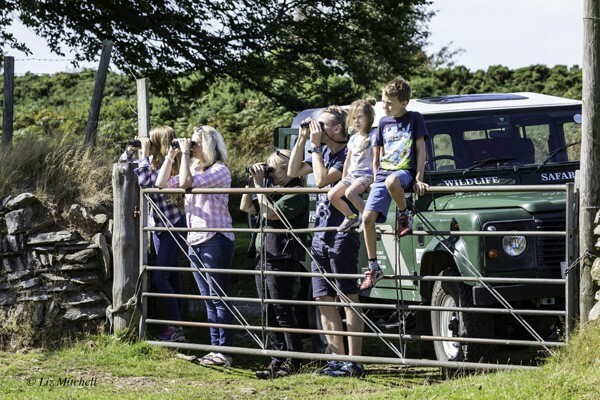 The foals are weaned and inspected by the Exmoor Pony Society, which was formed in 1921, if considered true to type the owners have the foals DNA tested, this will show if any markers other than true Exmoor are in the foals’ genes. The foals can then be registered in the appropriate book. The owner will send off for a passport, (all horses and ponies are now required to have this by law). Section 1 ( buff coloured passport) Ponies who meet the breed standard and Section X ( blue coloured passport) Ponies who don’t meet the breed standard, have not been put forward for inspection or are awaiting re-inspection. A pony who subsequently meets the breed standard upon re-inspection can be upgraded to section 1. This means all Ponies registered in the Exmoor Pony Society studbook can trace their parentage back over many generations. No pony of known parentage is excluded from the main section of the studbook. While the Exmoor Pony Society has a derogation from DEFRA that allows for the Moorland foals to leave the Moor on a passport application form without being micro-chipped, it was the Society’s considered opinion in June 2009 that all foals should be micro-chipped to ensure important bloodlines were not lost. For the last 6 years Branding now only happens on the Moor bred Ponies who are going to return to the Moor. Ponies are now only branded on the left hand side (nearside) hindquarters, the herd number or symbol is now above each individual Ponies number and much smaller than before. Any Ponies on the Moor with a brand on the front shoulder (nearside) will have been branded before 2010. When micro-chipping became mandatory in 2009 for all horses and ponies applying for a passport most in-ground breeders chose to micro-chip only. 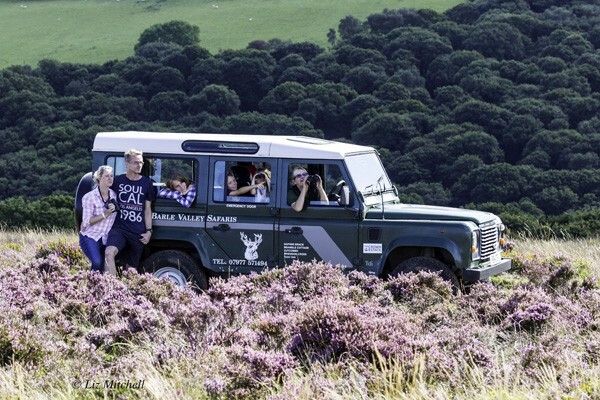 The number of free roaming Ponies on Exmoor are roughly between five hundred to six hundred. 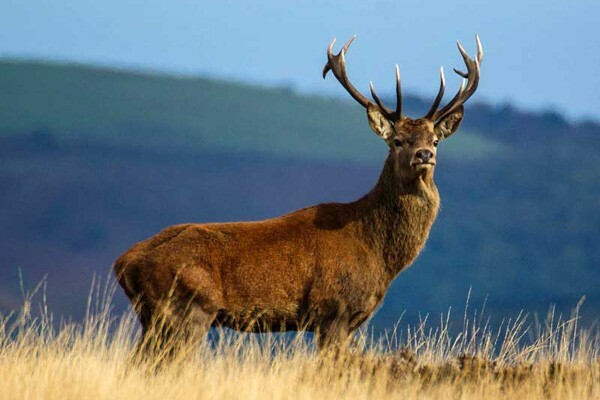 They have proved useful for the conservation of upland habitats due to their grazing habits. 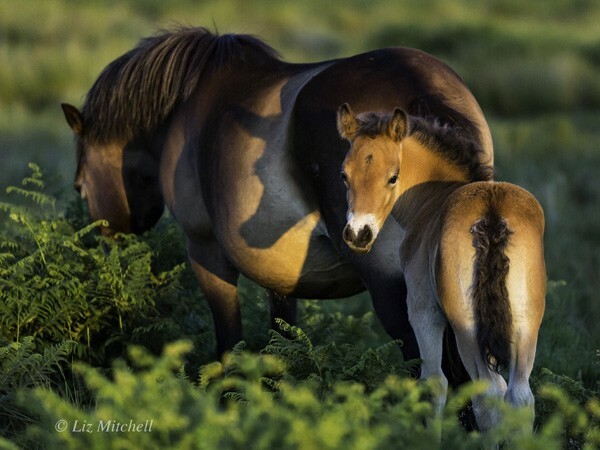 There are Exmoor Ponies grazing other conservation sites in the country and some have gone to other countries either as a breeding herd or for conservation grazing. The Exmoor ponies are all of characteristic appearance with slight variations in colour from dun to bay or brown. The ideal height is 12.2 hands. The underparts are an oatmeal colour, the area around the eyes and muzzle are known as a mealy colour, and the tail and points are black. the summer coat is fine and glossy but in winter the ponies grow a thick, two layered protective coat. The true Exmoor is a sturdy pony, well proportioned and sure footed. It has a large well shaped head with ‘toad’ eyes,large and dark, slightly hooded and set under a jutting brow which throws off the rain.